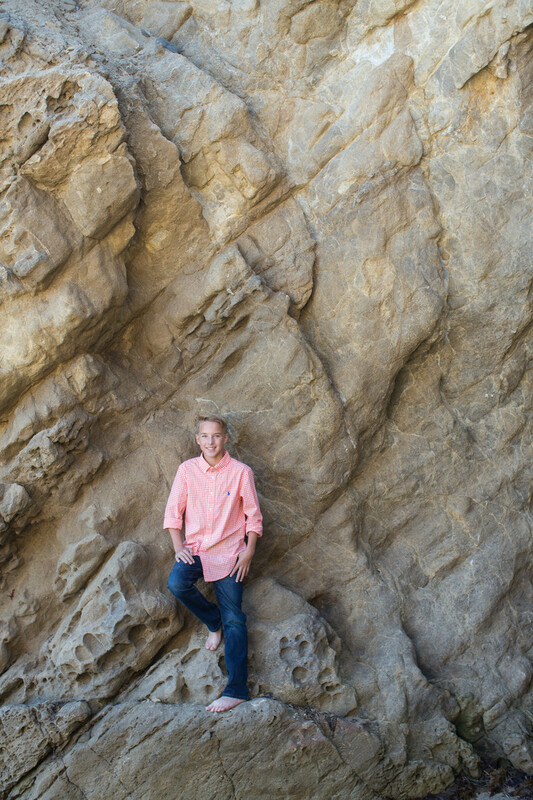 For this image I had Nolan steady himself up on this rocky wall. The texture, color and character of this background plays nicley with his natural look and vibrant shirt. Location: 35000 W Pacific Coast Highway, Malibu, CA 90265.